Tragically, up to 1 in every 5 young people in each class at STREAT has been excluded, bullied or discriminated against because they identify as LGBTIQ (lesbian, gay, bisexual, transgender, intersex, queer/questioning). And this discrimination has devastating effects on their young lives—increased mental health issues, drug and alcohol abuse, family conflict, homelessness, verbal and physical abuse, unemployment, bullying, suicidal ideation and self-harm. 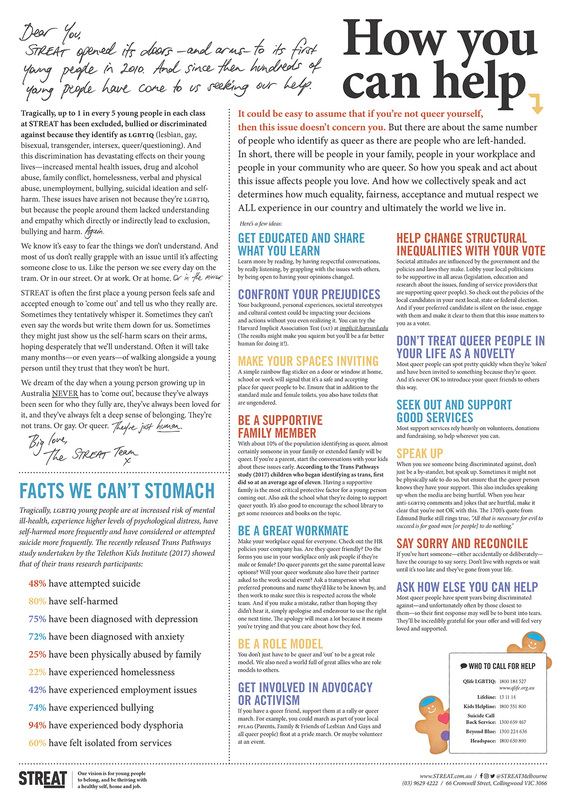 STREAT's Genderbread Person and the communications materials we've developed are specifically designed to help people have an informed conversation about these issues - at home or school or work. Why not start a conversation over morning or afternoon tea with your staff? 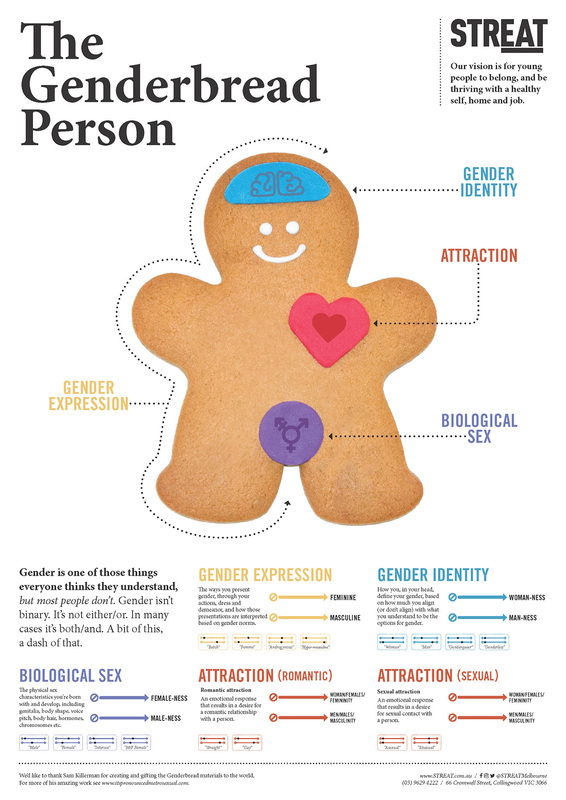 You can order The Genderbread People and Communication Packs from our catering@streat.com.au team. They are $12 each for minimum orders of 100 and require a three week lead time. This includes a number of A3 posters too.